REIGNING Ulster club champions Slaughtneil are one win away from returning to the decider, but assistant boss John Joe Kearney admits they don’t know where they stand with Saturday’s opponents Kilcar. The Donegal champions fairly routed Scotstown in their opening game in the competition, thereby dumping out a team fancied by many to have a serious chance of winning the Seamus McFerran Cup. Ten points was the winning margin for the rampant men from south west Donegal against Monaghan’s finest, and meeting them is described by Kearney as “maybe as big a test as ever we’ve had”. “From watching them against Scotstown anyway, they will be a hard team to play against now,” insisted Kearney. Kearney also agreed that the margin of victory was somewhat surprising. “It was, because neutrals talking to you before the game were saying: ‘Scotstown are Scotstown, they’ll win this game’. “And the way it started off, you would have thought that Scotstown were going to win it, but fair play to Kilcar, they pegged away at it, they came back into it and they won convincingly at the end. “So, you are left wondering how good are Kilcar, or how poor were Scotstown? “It’s hard to judge the thing. I’m not taking away from them, you can’t ignore the players that Kilcar have got. They’re footballers, they have good talent now and they take a bit of watching. 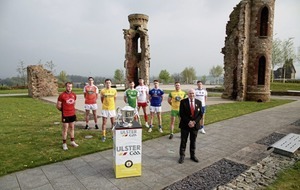 Omagh also often had all of their 15 players behind the ball in their hard-fought quarter-final clash with the Derry men, when just two points separated the sides. Kearney said that it is an approach that Slaughtneil are well used to coping with at this stage. 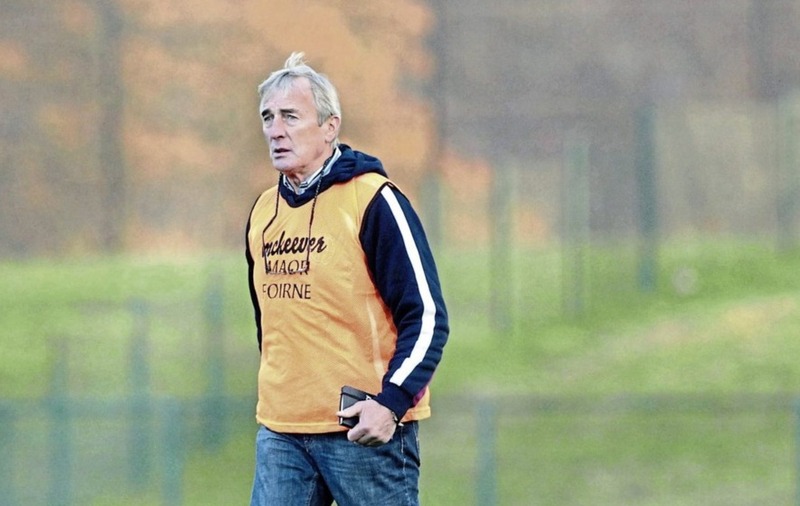 “Within the Derry championship over the last few years we have come up against that sort of opposition and have been fit to cope with it anyway, so it’ll not be entirely new to us,” he said. Although the Emmett’s were put to the pin of their collar against the Tyrone champions, when they did manage to get two points ahead, they showed superb composure to see the game out. That ability to stay in front when it matters most is a hallmark of this great Slaughtneil side. “We were holding on at the last but we sort of kept ball which we’re reasonably good at,” added Kearney. Padraig Cassidy, better known as a midfielder, was deployed at centre half forward in the Omagh game. This move worked well early in the match, as he carried the fight to Conor Meyler. Kearney was asked whether this was something that would be considered again. “Well, that was horses for courses, and that was the way we saw that game,” said Kearney. Another aspect of Slaughtneil’s performance last time out was not to expected, and that was their wide count – particularly in the first half when they were off target 10 times. As a consequence, they only took a one point lead into the changing rooms, having played with the breeze. Kearney was also asked was this a cause for concern ahead of the tussle with Kilcar, who were devastating in front of the posts against Scotstown, registering 1-16 in all. “We would generally opt, if we won the toss, to play against the breeze and that’s the way we have played,” explained Kearney. “They won the toss, and decided to play against it so I think we were a bit eager. I suppose there was a bit of tension with the lads too, they were trying to build up scores and they took options with the breeze that probably they shouldn’t have taken.